Lack of justice and equality is the bane of Kwara woe and Africa as a continent. The obvious truth is always neglected if it doesn't favour the majority but their claims are absolutely projected even if they are uncoverable fallacies. Kwara Central, Kwara South and Kwara North, Since 1993 that governor Mohammed Shaba Lafiagi from kwara north handed over to other four military administrators Mustapha Ismail,Baba Adamu Iyam, Peter A.M Ogar and Rasheed Sekoni before it was then given back to a civilian Governor Muhammed Lawal on 29th of May 1999-2003 from Kwara Central. Then came Governor Dr. Abubakar Bukola Saraki who spent 8years from same senatorial district before the barton was passed to Kwara South in person of Alhaji Dr. Abdulfatah Ahmed for two terms as well. All the candidates were been supported strongly by Kwara north. Hence, what is good for the goose is good for the gander and if truly we want the equation to be balanced in other for every part of the state to feel the equity and sense of belonging, the next governor should come from kwara north senatorial district. But the candidacy assignment is left for the discussed constituency elites and political stakeholders to do in gearing and putting themselves together to stand for righteousness in awakening their people consciousness to know the reasons why the political leaders must produce a competent and acceptable candidate from within. The deeds so far were been fairly done, and we should not allow the injustice and corruption tendency that is inherent in virtually every Nigerian to disharmonize "the state harmony"
The generality of the north pleads for support as they are unshakably determined in their claim and clamour for justice to prevail over sentiments. They affirm and assert to be well prepared to govern this harmonious state meaningfully with progressive agendas as opposed the popular insinuation going around the state that kwara north people are not ready to govern the state is nothing but a political language meant to draw the minds back. Because others know that their coming together to reach a consensus can actually enhance the region to get itself out of the political marginalization and mesmerism. The constituency which comprises of 5 local governments (EDU, PATIGI, KAIAMA, MORO and BARUTEN local government) areas that has 50+ wards can standardly rule and govern the state. Because it is an unarguable fact that there are professionals in various fields of intellectual and moral requirements. So I wouldn’t say much on that as for the people are known of good character, moral uprightness and diligence to discharge their duty anywhere they find themselves in the world. Discrimination disrupts peace and the absence of peace is the beginning of retrogressiveness. 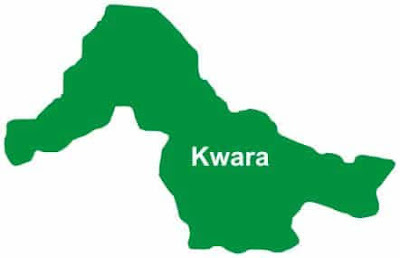 It is the duty of all progressive minded Kwarans to ensure that the righteousness is in place for the goodness we clamour Because with all indications, both the PDP and APC are planning to pick their party governorship candidates from Kwara central all in the name of majority as well as to test their power and political strength within the central. They are desperately planning this without the consideration of the conventional right of the Kwara north people. We shouldn't allow the assertion that they are not being treated like equal citizens be backed up with our unconventional gesture to bastardize the fundamental human rights. And as the second largest ethnic group in the state, they are supposed to be given a high recognition and to also be allowed to hold sway in their socioeconomic and political matters of the state. With all these front line traditional rulers, Kwara North has vast potentials for nation-building moves. Kwara North should not be marginalized in totality. And these are strong and meaningful reasons why the youths and elders have to strongly stand and agitate for what is significantly due at the right and necessary time. Comrade Salihu Olawale writes from Ilorin West local government area of Kwara state.